If you are heading to Bali in the next few days, read on to find out how to experience Nyepi, and what to expect during the day of silence! The Balinese new year is celebrated over six days. 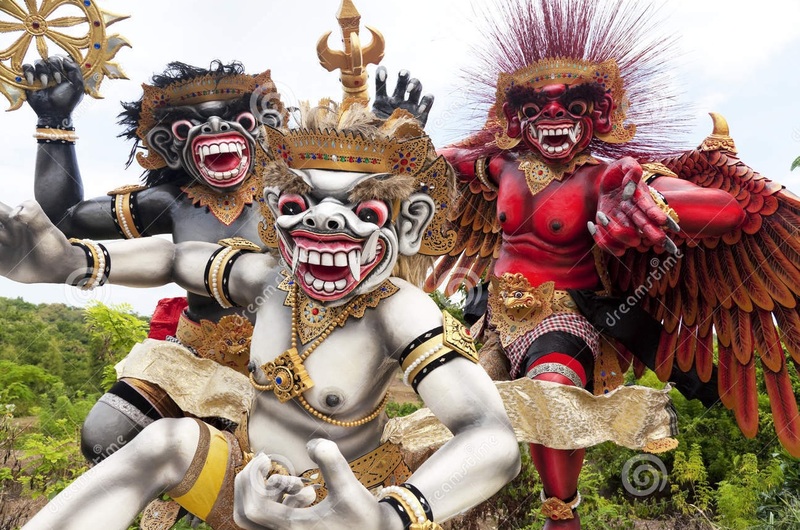 On the third day (7th March 2019), there is Nyepi, the day of silence. The island comes to a halt. There are no flights scheduled, no one can leave or enter Bali at this time. Everything is closed and no light is meant to be lit. All accommodations have some leeway on this, because of the tourists, but they cover their windows and there are a minimal number of staff working. No one is allowed to drive or walk around, and everyone is meant to stay indoors. There are even watchmen who patrol the streets to make sure no one is outside. Nyepi is a national holiday in Indonesia, and Hindu areas perform the same rituals, but Bali is where the biggest Nyepi celebrations take place. One fun part of the Balinese new year is the Ogoh-Ogoh parades on ‘Nyepi Eve,’ for the Bhuta Yajna ritual. Large, scary-looking statues are carried through the streets with lots of music and noise. They are brought to the beach in a torch-lit procession while people bang pots and beep horns to make as much noise as they can, to scare away evil. This is called mabuu-buu. The statues are of demons, representing negative elements. If you are in Bali this week, book our villa in advance, make sure the place you are staying at has food facilities, and that you have enough to amuse yourself for the day. You will be able to travel to and from Bali the day before Nyepi, and the day after, but if possible, you should book your boat or flight tickets etc in advance, so you can leave the day after Nyepi if you wish. Stock up on snacks and a few beers, and you will be fine!